ONE Championship is bringing a historical event to the Impact Arena in Bangkok, Thailand on Saturday, 16 February. 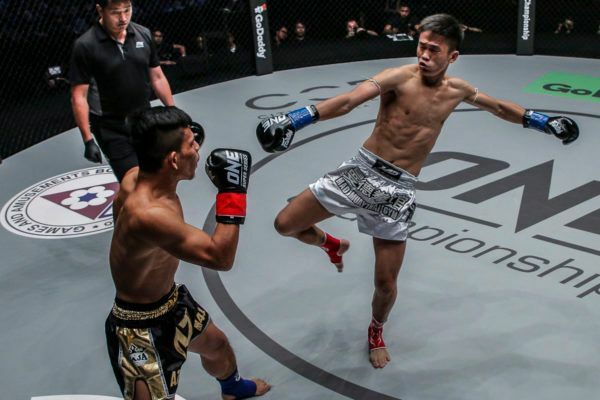 The event, ONE: CLASH OF LEGENDS, will be headlined by a battle for the inaugural ONE Muay Thai Bantamweight World Title as Nong-O Gaiyanghadao takes on Han Zi Hao, and the undercard will also feature a plethora of other thrilling ONE Super Series match-ups. However, as fans have come to expect from every ONE show, there will be a host of elite-level mixed martial artists, each with a story to tell and each with competitive aims to achieve greatness. Now, just two weeks away from event day, we look at four of the most dominant performances from the mixed martial arts superstars scheduled to compete in Bangkok. Ottogi Dae Hwan Kim stayed clear of Masakazu Imanaris threatening leglocks, earning a well-deserved unanimous decision win. “Ottogi” Dae Hwan Kim has never shied away from a challenge, and the South Korean star proved that when he put his skills to the test against legendary submission specialist Masakazu “Ashikan Judan” Imanari at ONE: HEROES OF HONOR in Manila, Philippines last April. Imanari’s ability to finish contests in the blink of an eye with his leg locks has made him one of the most feared grapplers in the world. But Kim showed plenty of grappling skills of his own, as he effectively nullified the Japanese veteran’s submission attacks and showcased his superior all-round mixed martial arts abilities en route to a unanimous decision victory. 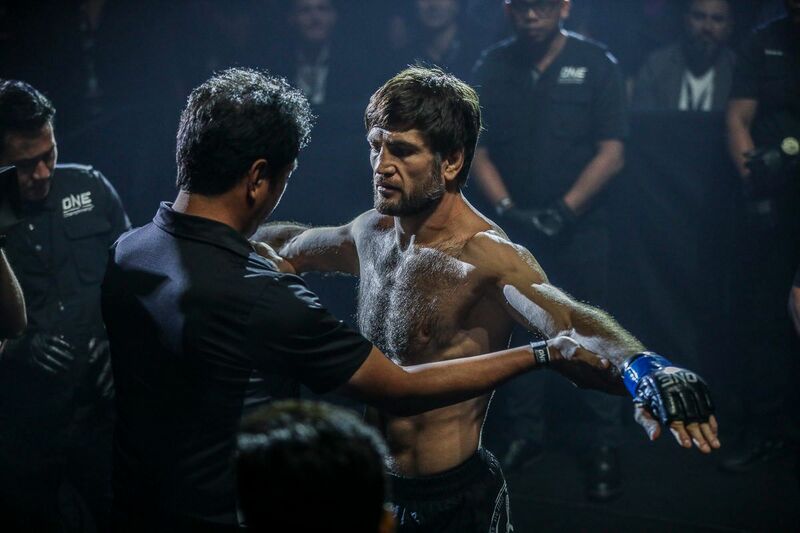 Kim dropped “Ashikan Judan” in the opening round with a well-timed right hand, but used his experience and knowledge to ensure he was not drawn into lengthy grappling exchanges on the mat. 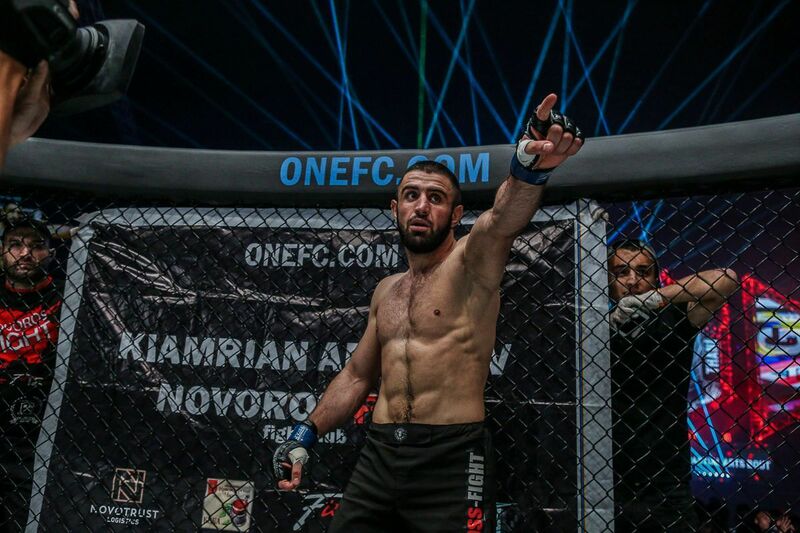 By the final round, “Ottogi” had the upper hand on the deck, as he punished Imanari with ground strikes from both the crucifix and mount positions. The South Korean’s confidence in his own skills, coupled with his crowd-pleasing, scrappy style, makes him one of the most exciting bantamweights in The Home Of Martial Arts. He will look to build on that reputation when he faces the man below on 16 February. Shuya Kamikubo dominates on the ground in a unanimous decision victory over Malaysias Muhammad Aiman! 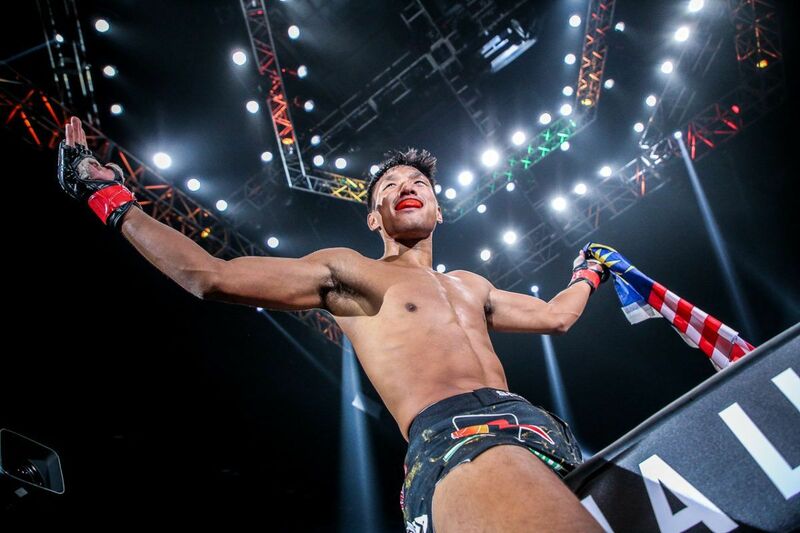 After securing back-to-back victories over top-level competition last year, it has become clear that Shuya “Stealth” Kamikubo is making a run at the ONE Bantamweight World Title. His most recent outing provided him with an interesting test in the form of “Jungle Cat” Muhammad Aiman, who had reeled off three consecutive victories heading into their meeting at ONE: HEART OF THE LION in Singapore last November. Although the Malaysian is known for his high-energy style, Kamikubo showed the composure and temperament you would expect from a seasoned operator. He comfortably dealt with the challenge of the young contender to earn a crucial unanimous decision win. The Japanese athlete’s dominant wrestling and top game proved to be too much for Aiman, as he dominated “Jungle Cat” on the mat for the overwhelming majority of their three-round contest. 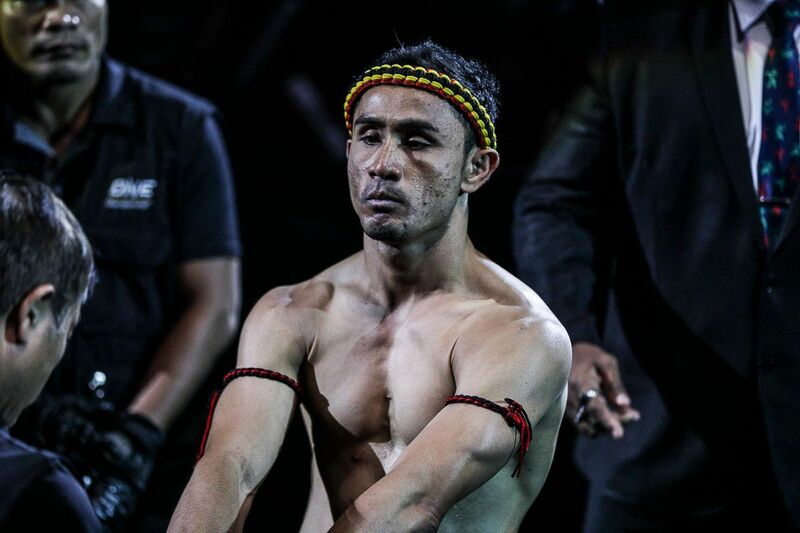 In victory, “Stealth” showed the rest of the bantamweight division he is a force to be reckoned with, and he will look to remind people once more on 16 February. Gina "Conviction" Iniong scores a dominant unanimous decision victory on home soil! Gina “Conviction” Iniong’s most recent victory came against one of the trickiest submission specialists in the women’s atomweight division — Jenny “Lady GoGo” Huang — at ONE: HEROES OF HONOR in April. The six-time national wushu champion used her fierce striking to keep the Chinese Taipei athlete at bay, and she also displayed excellent takedown defense to help neutralize the former ONE World Title challenger’s ground game. More impressively, Iniong flashed her evolving grappling skills, and she threatened Huang with ground strikes and submission attempts late in the contest. 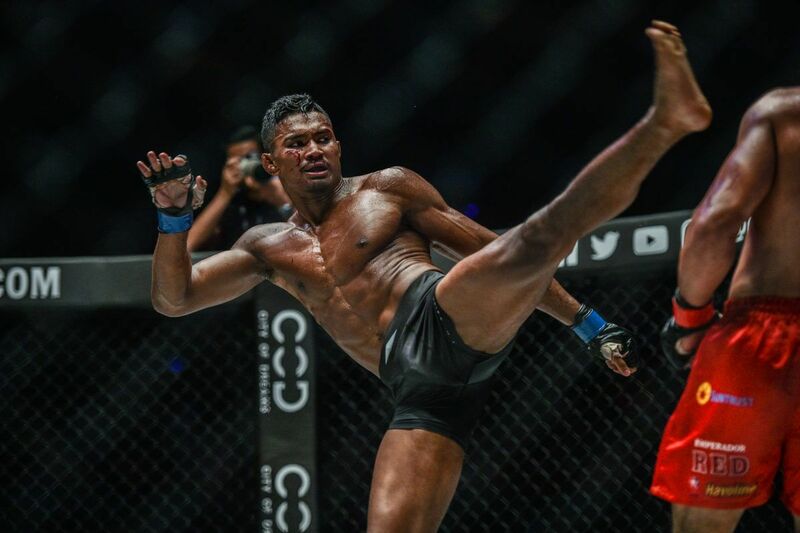 It all added up to a comprehensive performance, which showcased Iniong’s ever-improving all-around mixed martial arts skill set. “Conviction” will look to deliver an equally impressive performance at ONE: CLASH OF LEGENDS against the superstar below. Jihin “Shadow Cat” Radzuan, the bright new star of Malaysian women’s martial arts, is rising up the atomweight ranks thanks to an unbeaten start to her mixed martial arts career and a string of impressive wins. Perhaps none were more impressive than her victory over surging contender Priscilla Hertati Lumban Gaol at ONE: PURSUIT OF POWER in Kuala Lumpur last July. The local favorite happily stood and traded with Lumban Gaol as she put her Wushu World Championship-winning skills to good use in the early exchanges. However, it was the Malaysian’s grappling skills that really shone through as she held the advantage on the mat throughout the contest. She threatened with submission attempts and controlled “Thathie” for long periods on the canvas, ultimately earning the unanimous decision from the cageside judges after three competitive rounds. Jihin will try to further cement her contender status when she faces Iniong at the Impact Arena in two weeks’ time.